"Four Stars ... Fort's music reflects her many influences: '80s pop, Middle Eastern music and jazz ... there is a definite European flavour ... generally melodic and reflective ..."
For her third ECM album, Israeli pianist Anat Fort augments her long-established trio of bassist Gary Wang and drummer Roland Schneider with a special guest, Italian reedman Gianluigi Trovesi. 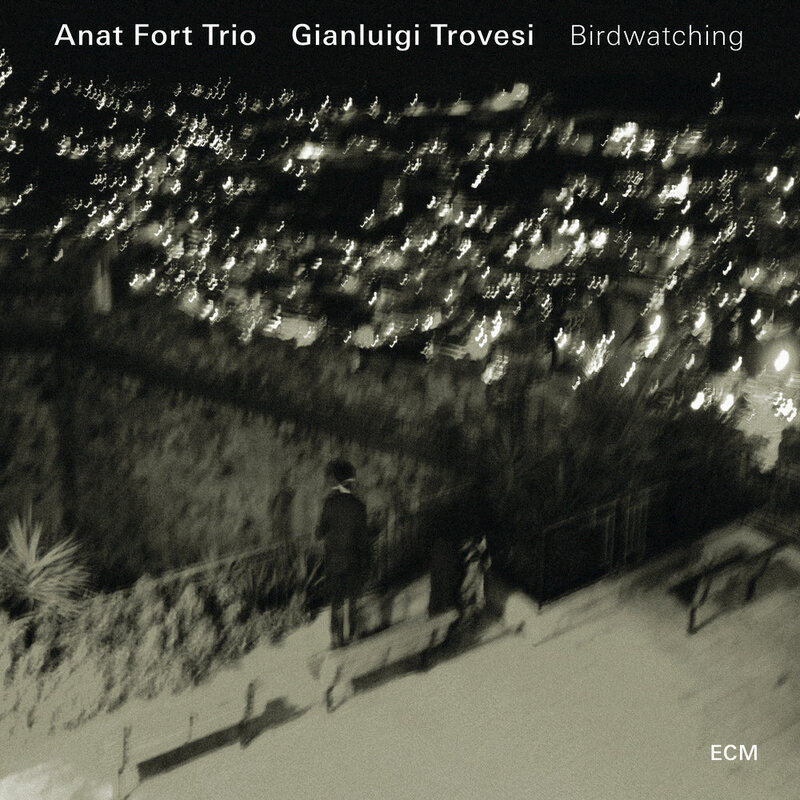 Fort and Trovesi have made a number of appearances together in recent years and Birdwatching, with its alert sense of joy in the playing and lively bright music, takes their rapport to the next level. Quartet music is interspersed with improvised solo piano as the story unfolds in a series of vignettes. "Many of my songs are inspired by movements of things in nature: animals, clouds, winds, water ... I didn’t know what this record would be called but when I listened to the finished master I knew it had to do with the movement of birds and with watching, listening, waiting. It is as much about birdwatching outside as about watching that inner bird, the soul."